○The Best Rookie Singer Award/ Mariya Nishiuchi, ○The Best Singer Award/ EXILE ATSUSHI, ○The Special Singer Music Award/ Hiroshi Itsuki, ○The Special Film Theme Music Award/ “Anna and The Snow Queen”, ○The Special Award/ “Youkai Watch”, ○The Best Album Award/ “TRAD” of Mariya Takeuchi, and some other wards ere given to excellent singers, composers, lyricists, and other music artists. The Japan Record Award (Grand Prix) was conferred on “Flying Get” of AKB48, which has sold more than 1587,000 cds and No.1 hit of all of the five AKB’s songs that sold more than one million this year, namely, “Everyday Katyusha” ,”Kaze wa Fuiteiru”, “Uekara Mariko”,and “Sakura no Kini Narou”. AKB48 has received the Japan Record Award for the first time since their debut in 2005. 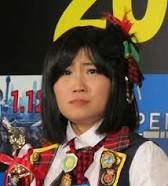 Minami Takahashi, the captian of the group says in her speech “We are so happy now we have done our best for whole of one year since last time here “, Atsuko Maeda, No.1 winner of the AKB48 election this year said, “I want to say thank you very much to everyone”, and Yuko Oshima, the captain of TeamK said, “Flying Get is sung by the selected members of the election, therefore, this award given by all of our fans “. AKB is one of thge most popular idol groups at the moment and Exile, the winner of the Grand Prix three years in a row 2008-2010 had given up the nomination of their song this year showing fairness and appreciation to fans , AKB was thought to be the leading candidate. “AKB Project” including AKB48, SKE48,NMB48,HKT48, JKT48, and SDN48 is going to perform at the NHK “Kouhaku Utagassen” on the new year’s eve (tomorrow !) ,whose total number is 210 on the stage that is the record high of the population of a group of performers of Kouhaku Utagassen in history. Excellent Works/ “Esperanza” (Kana Nishino), “Go Go Summer!”(KARA), “CALL” (AAA), “Kono Yoru wo Tometeyo” (JUJU), “Shounai Hiya Kaze no Naka” ( Kaori Mizumori), “Jounetsu no Mariachi”(Kiyoshi Hikawa ), “Soredemo Shjinjiteru” (FUNKY MONKEY BABYS), “Flying Get”(AKB48), “Why? 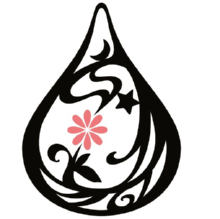 (Keep Your Head Down)”(Toho Sinki), and “Waratte Tainda”(Ikimonogakari). And all other awards and the receivers’ names are annnounced on the above mentioned official website of The Japan Record Awards. Aural Vampire (オーラルヴァンパイア) will release their upcoming album ZOLTANK on May 5th. 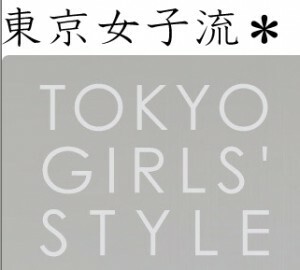 Tokyo Joshiryu or TOKYO GIRLS’ STYLE is a new “dance & vocal” girl group on avex trax. their first digital single, “KIRARI☆,” will be released to mu-mo on February 17th. Meet AVEX’s new idol group Tokyo Joshiryu (Tokyo Girls’ Style). It consists of 5 girls who love to sing and dance. They plan to not only promote in Japan, but all across Asia. 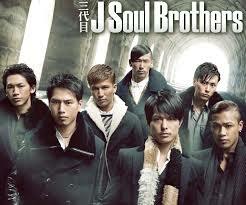 They will begin performing together this February. Avex has unveiled a new five-member idol group called Tokyo Joshiryu (東京女子流）, also known as Tokyo Girls’ Style. This is the first girl group created by Avex since SweetS in 2003.